Gitelman syndrome is an inherited kidney disorder characterized by low levels of potassium and magnesium in the blood and decreased excretion of calcium in the urine. Gitelman syndrome is caused by a genetic mutation affecting a type of protein needed to transport these and other electrolytes through the membranes of the kidneys. It is estimated that Gitelman syndrome occurs in one of every 40,000 people, affecting males and females of all ethnic backgrounds. There is no cure for Gitelman syndrome. Around 80 percent of all cases are associated with a specific genetic mutation known as SLC12AC. 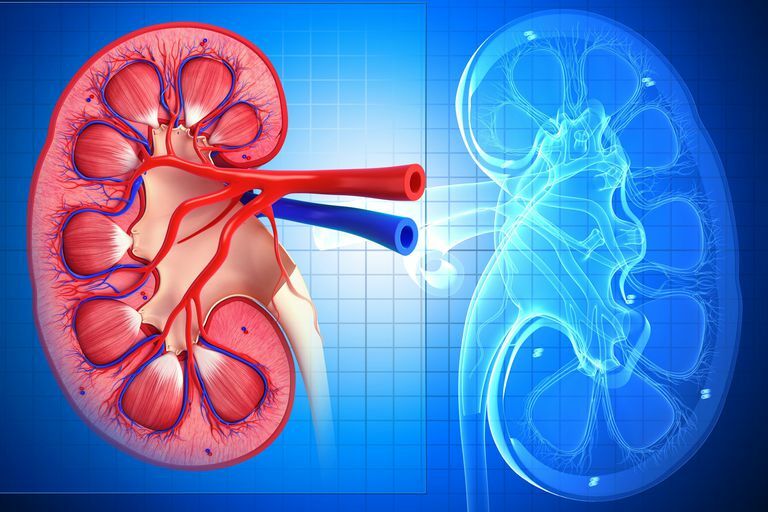 This anomaly directly affects the something called the sodium-chloride cotransporter (NCCT), whose function is to reabsorb sodium and chloride from fluids in the kidneys. While the SLC12AC mutation is the predominant cause of Gitelman syndrome, around 180 other mutations have also been implicated. A secondary effect of the SLC12AC mutation is the increase in calcium reabsorption in the kidney. While this effect is also linked to the malabsorption of magnesium and potassium, scientists are still not entirely sure how or why this happens. People with Gitelman syndrome can sometimes experience no symptoms at all. When they do develop, they are more often seen after the age of six. Less commonly, people may experience abdominal pain, vomiting, diarrhea, constipation, or fever. Seizures and facial paresthesia (the loss of sensation in the face) have also been known to occur. Some adults with Gitelman syndrome may also develop chondrocalcinosis, a form of pseudo-arthritis caused by the formation of calcium crystals in connective tissues. Gitelman syndrome is often revealed during a routine blood test when abnormally low potassium levels are detected. When this happens, doctors perform additional tests to ascertain if it is Gitelman syndrome, an associated disease known as Bartter syndrome, or other possible diseases. Treatment of Gitelman syndrome is focused on symptom management. Potassium and magnesium supplementation is the mainstay of treatment, often prescribed in large doses (since they are regularly excreted in urine). During severe episodes of muscle spasm, magnesium may be delivered intravenously. Persons diagnosed with Gitelman syndrome, whether symptomatic or not, are counseled on ways to maintain healthy levels of potassium, magnesium, sodium, and chloride. These include dietary changes and the appropriate use of potassium-sparing diuretics to excrete water through urination but retain potassium. Knoer, N. and Levtchenko, E. "Gitelman syndrome." Orphanet Journal of Rare Diseases. 2008: 3:22.